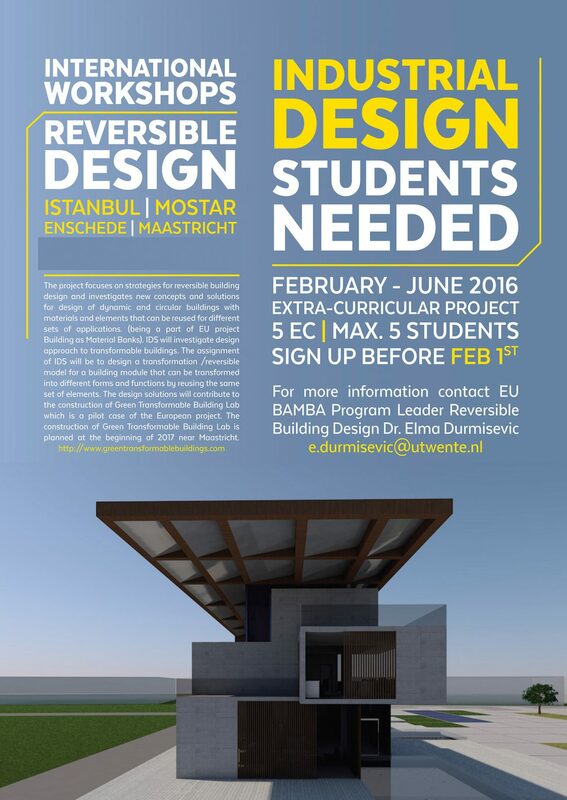 Industrial Design Students from five different Universitys will participate in workshops about Reversible Building Design, International Design Studios. The students will investigate design and approach for transformable buildings. All together 70 student are involved into this year’s International Design Studios designing Reversible Urban Pixel as the first Two prototypes of Reversible Building principles for GTB Lab and GDC.